Mold removal can be a big deal for you and your property, especially if left untreated. If your home or business has recently suffered from damage due to water, chances are mold growth is headed your way. Luckily, Disaster Relief is Western New York’s most respected mold damage remediation and removal company. We will tackle your mold problem at the source and make sure your property stays nice and dry to prevent further mold growth. 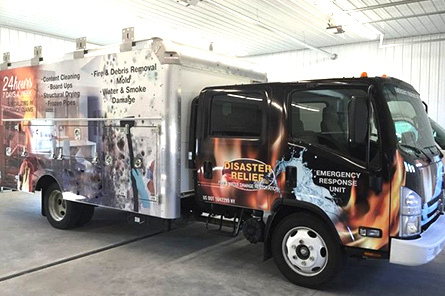 The Disaster Relief team is New York State-certified in mold remediation & removal. Call our professionals today and we will work with you to develop an effective mold removal process for your home or business! Although you may not see them, mold spores are all around us. These tiny particles float through the air until they find a moist area to call home. Mold can quickly multiply and cause serious health problems for you and your pets and loved ones, including sinus infections, flu-like symptoms, and respiratory distress. Our crew has years of experience working with mold issues of all magnitudes. We have the equipment needed to remove moisture from inaccessible areas such as wall cavities, attics, or crawlspaces so we can tackle the mold problem before it even starts. Contact Disaster Relief today to schedule your mold damage remediation and removal service!